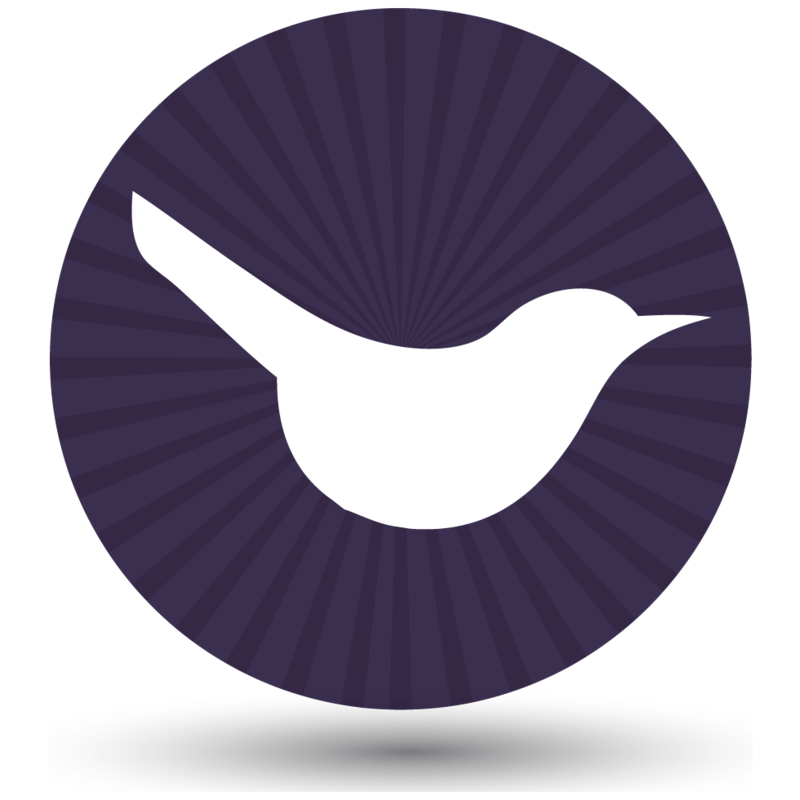 Lots of people ask us which WooCommerce bulk discount plugins work with our Product Table and Quick View plugins. Today we’ve been testing the official WooCommerce Dynamic Pricing plugin, plus the WooCommerce Bulk Discount and Dynamic Pricing and Discounts for WooCommerce plugins. We’re pleased to announce that they all work beautifully with WooCommerce Product Table and WooCommerce Quick View Pro. Here are all the details of how you can use bulk discounts and dynamic pricing with your own product tables and quick view popups. 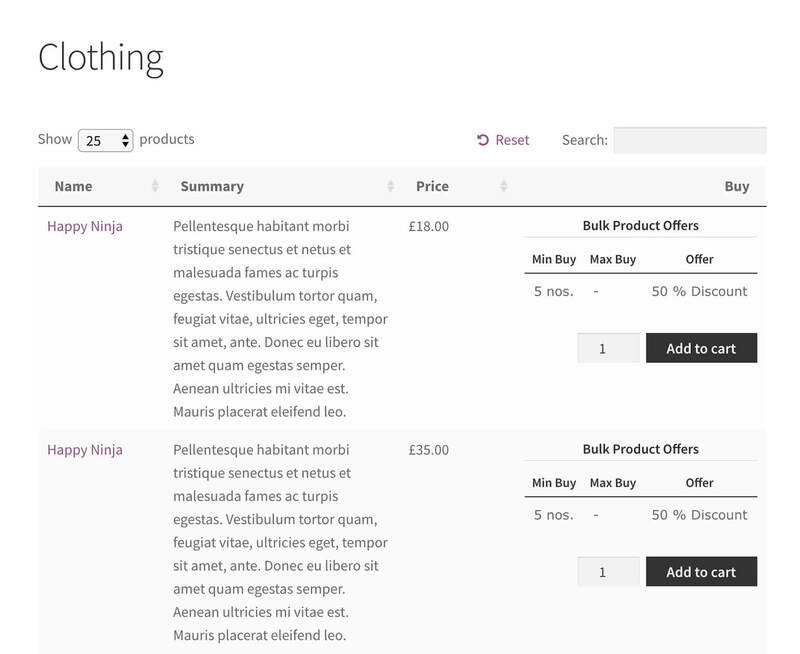 You can also see a product table with WooCommerce Dynamic Pricing in action on our demo page. The official WooCommerce Dynamic Pricing extension lets you create bulk discounts based on a minimum and maximum quantity for individual products, across your entire store, or for specific categories or even product variations. It’s an incredibly advanced bulk pricing plugin and you can use simple or advanced logic to create sophisticated pricing rules. It also comes with user role based pricing. If you’re using the Dynamic Pricing plugin, then customers can choose a quantity from the product table and click the Add to Cart button. When they click through to the cart and checkout, the correct quantity based pricing will be applied based on the quantity ordered. 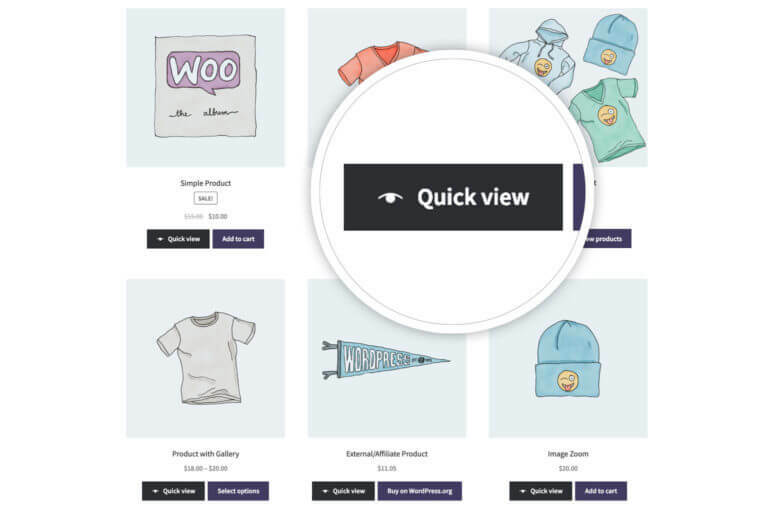 If your product table page has a sidebar, then you can add the WooCommerce Cart widget. When people add products to the cart, the correct volume discount will be shown in the Cart widget. This reassures customers that the volume discounts are working. See it in action on our Dynamic Pricing demo page! If there’s no Cart widget on the page, then customers can see the discount when they click through to the cart and checkout. The ‘Price’ column in the product table will always show the price for a single item. Please see below for some suggestions on how you can display available bulk discounts in the product table. If you’re using Dynamic Pricing with WooCommerce Quick View Pro, then the correct discounted price will appear in the quick view lightbox. Bulk discount plugin used with WooCommerce Product Table. The information in the ‘Quantity Discounts’ column has been added manually as a custom field for each product. 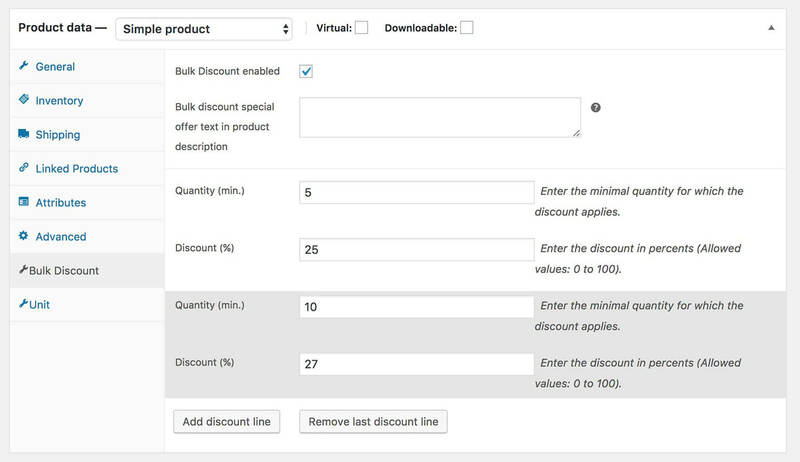 The WooCommerce Bulk Discount plugin makes it easy to set quantity-based discounts for any or all of your WooCommerce products. You can do this globally or for individual products. 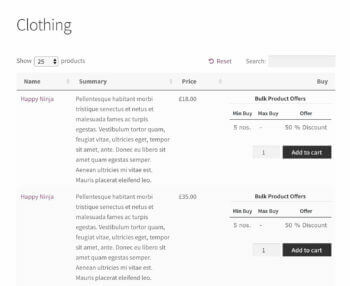 If you’re using the WooCommerce Bulk Discount plugin with WooCommerce Product Table, then customers can select a quantity from the table and add products to the cart. The appropriate volume-based discount will be correctly added to the cart. As with the official Dynamic Pricing plugin, the Price column in the product table will just show the price for quantity of 1. See below for advice on how to display the bulk discounts in the table view. Dynamic Pricing and Discounts for WooCommerce is similar to WooCommerce Bulk Discount, with a few extra features. There’s also a Pro version with even more to offer. Dynamic discounts for individual products and entire categories. Discount rules based on weight, quantity, price, total units and number of items in cart. Option to show the available discounts on the single product page, or in the add to cart column of the product table. Set minimum and maximum quantity that the discount will apply to. Role-based pricing – ability to set different discounts based on logged in user role (e.g. 10% discount for wholesale users). Optional start and end/expiry date for discount rules. Choose from flat, percentage or fixed price discounts. The Pro version has the added bonus of being able to combine discount rules, so it’s a bit more flexible. But the free version is great and offers a surprising number of features. Dynamic Pricing and Discounts for WooCommerce works with WooCommerce Product Table in a similar way to WooCommerce Bulk Discount. The products are listed in the table layout as usual. When you add a product to the cart, the correct discount is applied and this is clearly labelled in the cart. Can I show the bulk discount prices in the product table? If your product table includes a Price column then this will always show the price for 1 item. This applies whichever bulk discount or dynamic pricing plugin you use – the Price column never changes. However, the Dynamic Pricing and Discounts for WooCommerce plugin has a neat feature where you can show the available discounts for each product in the add to cart column of the product table. Simply switch this on in the settings for the plugin. If you set it to appear before or after the add to cart button then it shows up in the product table. Unfortunately this feature isn’t available in WooCommerce Dynamic Pricing or WooCommerce Bulk Discount. The only way to list the available discounts in the product table is to add an extra column with this information. This subtly encourages people to buy higher quantities, convincing them that they’re getting better value. Use the free Advanced Custom Fields plugin to add a ‘Volume Discount’ custom field to the ‘Products’ post type. This field will now appear on the Add/Edit screen for each product. Add the discount details here. 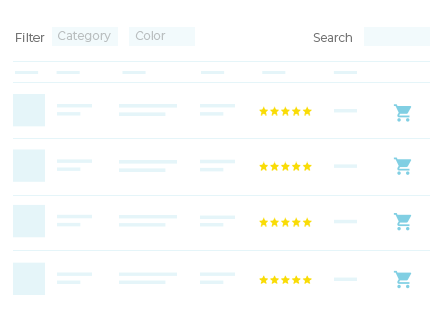 Finally, add the custom field as an extra column in your WooCommerce product table. Please see the instructions for adding a custom field column. As you can see, the WooCommerce Dynamic Pricing, WooCommerce Bulk Discount and Dynamic Pricing and Discounts for WooCommerce plugins work beautifully with the product table layout. They also work nicely with WooCommerce Quick View Pro if you want to show the discounted prices in a quick view lightbox. If I had to recommend a bulk pricing WooCommerce plugin then I’d suggest Dynamic Pricing. This is the official plugin from woocommerce.com so you can be sure it will be maintained and supported for the long-term. Use either plugin with WooCommerce Product Table and WooCommerce Quick View Pro, and get the benefits of a one-page order form, coupled with the extra incentives offered by a bulk discount plugin and dynamic pricing. This creates a powerful incentive to buy, helping to increase your sales. It would be so thankful if you can provide the table field name for WooCommerce Bulk Discount. 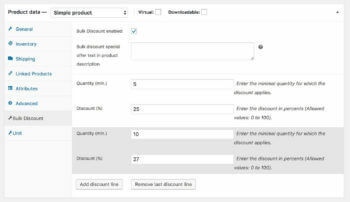 Unfortunately the Bulk Discount plugin doesn't include a field showing the discount that can automatically be shown in the product table. This is because the discounts are generated dynamically based on the main product price. For a suggested workaround, please see the 3rd paragraph of the 'Can I show the bulk discount prices in the product table?' section of this tutorial. Alternatively, if you switch to the Dynamic Pricing and Discounts for WooCommerce plugin, then you can automatically show the available discounts in the add to cart column. Need discount plugin (Woocommerce): Buy X amount items in category A and get fixed price of X amount items in category B. Only same amounts of fixed prices as bought in category A. We sell eyewear and a customer need “Lenses” and a “Frame”. If customer buy “Lenses” the get the “Frame” cheaper, then just buying the “Frame” without the “Lenses”.? Hi Dan, the Dynamic Pricing extension has the most complex logic that I have seen and allows you to create some pretty advanced rules. However, I'm not an expert in it and recommend that you reach out to WooCommerce.com support to ask them if it will let you do exactly what you have described.